Because when Rojan stumbles upon the secrets lurking in the depths of the Pit, the fate of Mahala will depend on him using his magic. And unlucky for Rojan – this is going to hurt. 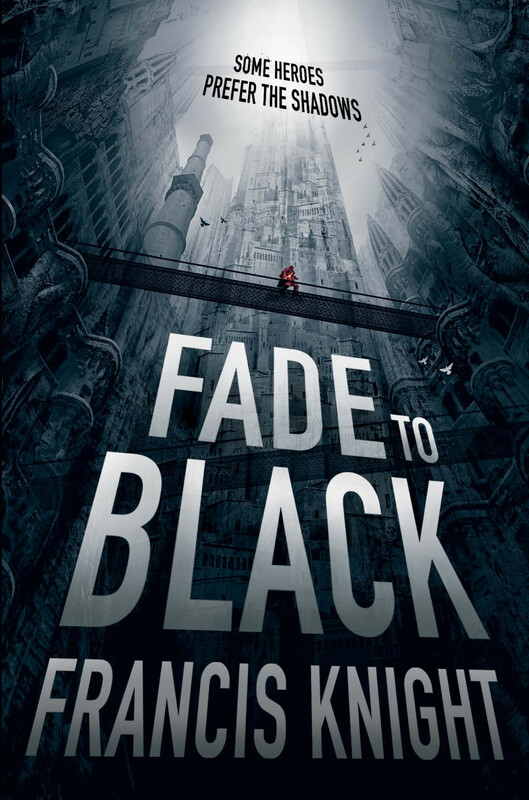 Only two more weeks until FADE TO BLACK (US | UK | AUS) releases online and in stores. Here’s an interview with Francis Knight. Find out how the city of Mahla came to be and more about the magic system employed by Knight’s pain mages. Have you always known that you wanted to be a writer? No, I can’t say that I have, probably because it never occurred to me to write down all the stories in my head. I’ve always read, and always made up little stories but it was only when I was struck down with ME that I started to write—I was housebound, and it was almost a defence against day- time TV. So I wrote one of my little stories and found I was addicted to writing. Did the idea for the Rojan Dizon books come to you fully realised or did you have one particular starting point from which it grew? As with most of my ideas, it came a piece at a time, each piece from a different direction. The idea really takes hold when they gang up on me. The theme came from one direction, Jake from another, whereas Rojan came as I was writing. He was kind of an experiment—I’d never writ- ten in first before, and he is polar opposite to me in many areas (though we do share a trait or two), so he was almost a challenge I set myself, to see if I could do it. I splurged out fifty thousand words in a month—at this stage it was a future dystopia world, but then my writers’ group pointed out, quite fairly, that I am horrible at making up future tech. One member suggested, “Why not make it a dark fantasy?” which kind of fed into a separate idea I’d had for a world where magic lived with technology. I dabbled a bit then left it on my hard drive for a few years, tinkering with it every now and again in between other projects. It was only when I decided to actually knuckle down and do something with it, when I started with the idea of pain magic in fact, that it really came to life. It was waiting for me to have the right idea to make it work, I think.